Eric Barker was born in 1967 in Miami, Florida. His family includes his wife Melissa, daughter Julia, and son Bryce. Eric Barker earned his B.A. degree at the University of Florida in 1989, J.D. at the University of Florida 1992. He was admitted to the Florida Bar in 1992; Admitted to Federal Court, Middle District of Florida, 1992. He was the winner of the Franklin Graham Award, given to the outstanding Assistant Public Defender of the year in 1996. Having gained invaluable experience by going to trial in several dozen cases, Eric left the Office of the Public Defender as a Division Chief and joined Mark NeJame’s law firm in 1999 and became a Partner in 2000. Eric has been rated as a preeminent lawyer by Martindale-Hubbell and has earned an AV rating, the highest rating given by the organization, which is a nationally recognized attorney rating service. 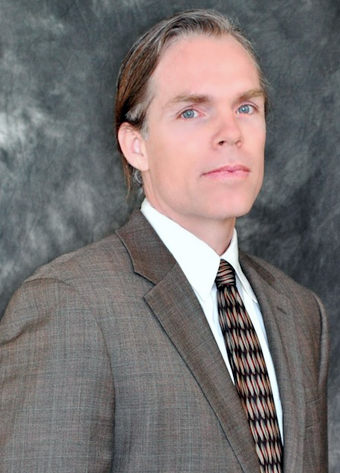 Eric has always been a defense attorney and has fought for his client’s rights and freedom throughout his career. Eric prides himself for analyzing each client’s case and preparing the case through interviewing witnesses, thoroughly researching all aspects of a case and conducting depositions. Utilizing Florida’s relatively liberal discovery rules allows Eric to investigate, search and question witnesses, law enforcement officers and leads in a case. After the case is prepared, Eric further fights on his client’s behalf by filing a variety of possible motions. Whether it is a Motion to Dismiss or a Motion to Suppress Evidence, Eric evaluates the appropriateness of every conceivable valid Motion. Developing defenses on behalf of his clients allows Eric Barker to often become engaged in aggressive negotiations with the State. Believing that the best and most fruitful negotiations come from a position of strength, Eric typically fully prepares his case so that he is in the best position to secure the most favorable result for his client. Of course, all of this sometimes leads to a trial, for which Eric is extremely knowledgeable and experienced. He has been counsel in approximately 65 criminal trials. No case is too large or complex or too small or unimportant for Eric to handle. In fact, Eric has handled cases which include but are not limited to First Degree Murder, Trafficking in a Controlled Substance, Kidnapping, and Sexual Battery, Grand Theft, Dealing in Stolen Property, Possession/Delivery of a Controlled Substance, Conspiracy, Dealing in Stolen Property, Aggravated Battery, Possession of a Firearm by a Convicted Felon, RICO, Lewd and Lascivious Conduct, Battery on a Law Enforcement Officer, and Internet Solicitation of Minors, to DUI, Domestic Battery, Assault, Fleeing and Eluding, and Solicitation. * Recipient of the Franklin Graham Award, outstanding Assistant Public Defender of the year. Call today to set up an appointment to discuss your case with me. You will meet with me personally and you will receive the attention you deserve!